A new book by Maria Spassov has recently been published featuring an interview with Daniel Marshall. The digital copy is available on amazon. A hardcover copy is to be released soon. “Celebrity Designers: 50 Interviews on Design, Architecture, and Life” offers a window into the life and mind of some of the greatest designers and architects of our time. The interviews answer various questions about design, architecture, daily routines, favorite books, success and happiness. Delve into the world of designers Marc Newson, Kelly Wearstler, Jonathan Adler, Martyn Lawrence-Bullard, Jasper Morrison, Kelly Behun, Vicente Wolf, Christophe Pillet, Timothy Corrigan, Delphine Krakoff, Matteo Thun, Jamie Drake, Benjamin Noriega-Ortiz, Jean-Louis Deniot, Thomas Pheasant, Michael Young, and Richard Hutten; the architects Tom Kundig, Michael Graves, Steven Ehrlich, Craig Steely, Nico van der Meulen, Billie Tsien, and Antonio Zaninovic; the fashion designer Ben de Lisi; the yacht designer Dickie Bannenberg; and many much more. 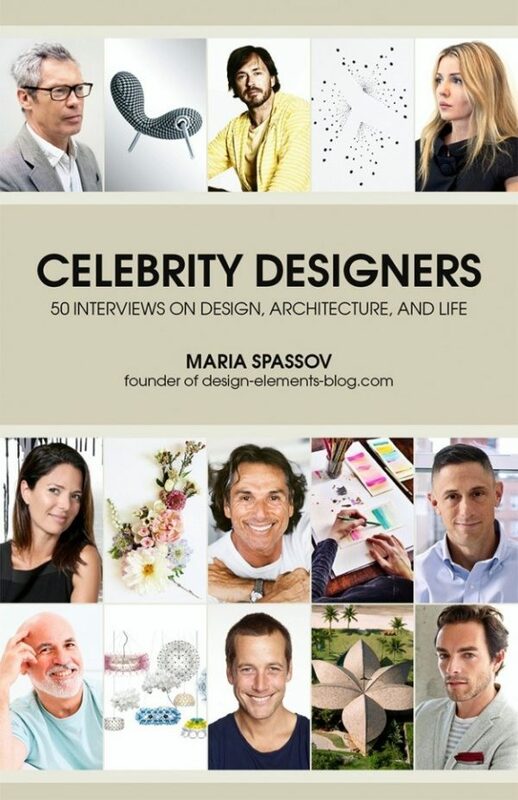 Part portraits, part practical wisdom, Maria Spassov’s book is an indispensable source of inspiration and spirit for anyone who loves design and architecture.